The SMII will launch five regional manufacturing centers across the nation, each focused on local technology needs and workforce development. These centers will house technology testbeds designed to demonstrate the commercial potential of new smart manufacturing technologies.A�Zhou said Purdue Northwesta��s participation opens the door to possible projects relating to proven CIVS capabilities in computational fluid dynamics, visualization and workforce development. 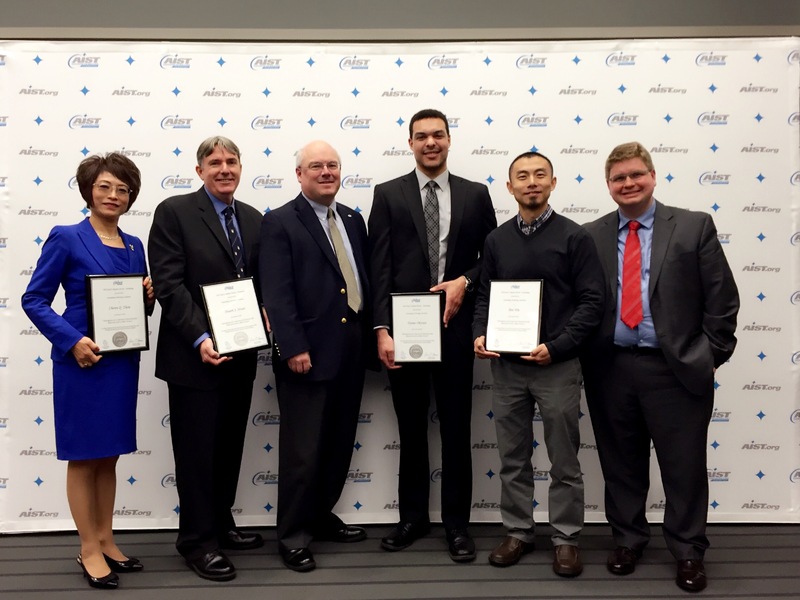 a�?We were invited to participate by the Smart Manufacturing Leadership Coalition,a�? Zhou said, a�?because of successful projects we performed for the Department of Energy, the National Institute of Standards and Technology, and various industries.a�? The SMII also will enable small, medium and large manufacturers new and unparalleled access to smart tools, innovation and the ability to grow their business.A�a�?Being part of this new institute,a�? Zhou said, a�?will provide learning and partnership opportunities for our students and faculty; create relationships for CIVS with industries, national labs and other universities; and help cultivate possible external funding sources.a�? Purdue University Calumet of Hammond and Purdue University North Central of Westville recently unified to become Purdue University Northwest (PNW), a comprehensive regional university of two campuses within the Purdue University system. When it welcomes its first class of students this fall, PNW will become Indianaa��s fifth largest university, enrolling some 15,000 students and offering approximately 70 undergraduate and graduate degree programs. 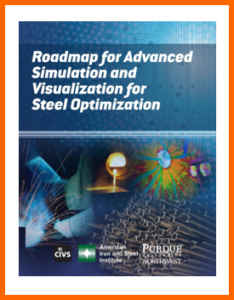 On Monday June 6, 2016 the Steel Manufacturing Consortium (SMSVC) held its Semi-Annual project and board meetings at the Center for Innovation through Visualization and Simulation (CIVS) at Purdue University Northwest a�� Calumet Campus, in Hammond, Indiana. There were over 30 attendees from the nine consortium members representing steel producers and suppliers from the U.S and Canada. The meeting covered technical presentations on projects selected in January by the consortium members that are focused on workplace & process safety, energy efficiency, operational efficiency, reliability and maintenance, workforce development, environmental impacts, raw materials utilization and smart manufacturing. 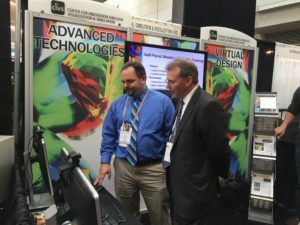 Presentations were given in the Immersive Theater, and several other demos were given featuring computer simulation and 3-D technology such as Oculus Rift.A� To get the day started Chancellor Keon and Jean-Louis Staundenmann from NIST gave opening remarks. The Annual meeting for the consortium will be held early November 2016. 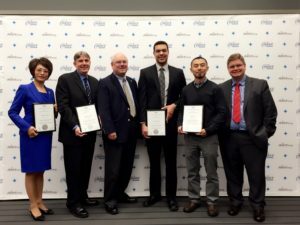 CIVS participated in a number of activities at AISTech 2016 conference, held in Pittsburgh, PA. CIVS staff and students presented 7 technical papers, 3 posters, and 1 oral presentation.A� CIVS was also recognized for their paper, titled “Investigation of Co-Injection of Natural Gas and Pulverized Coal in a Blast Furnace,” and received the Association for Iron and Steel Technology’s (AIST) 2016 Josef S. Kapitan Award-Ironmaking. 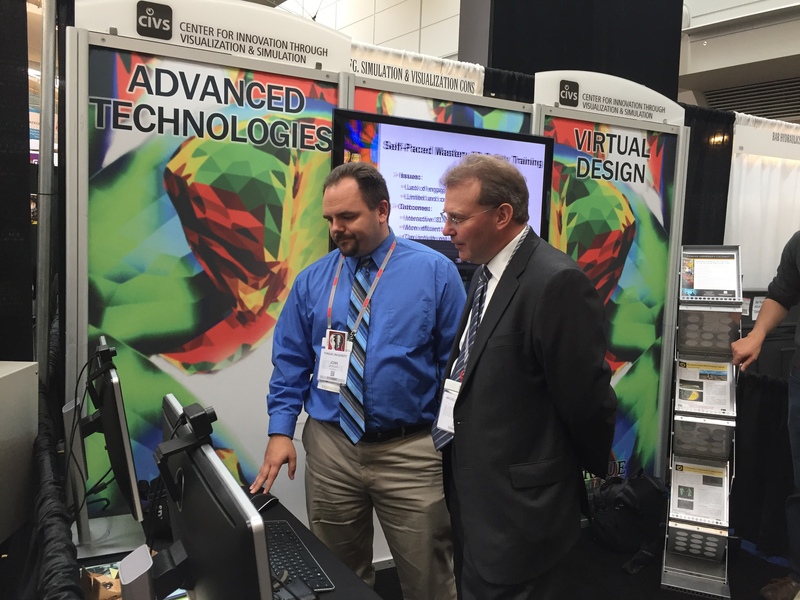 CIVS hosted a booth highlighting new technologies and promoted the Steel Manufacturing Simulation and Visualization Consortium.A� Among the visitors was John Brett, president and chief executive officer, ArcelorMittal USA (see in the photo below).